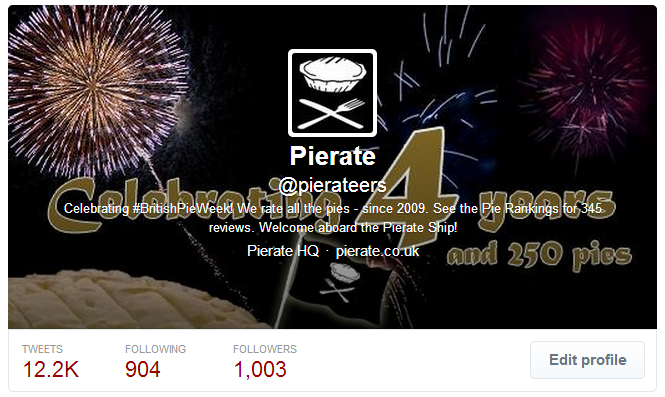 The Pierateers were delighted to get the support of Tesco to rate some more pies this British Pie Week. They supplied a £15 pie voucher to spend over the coming few weeks. 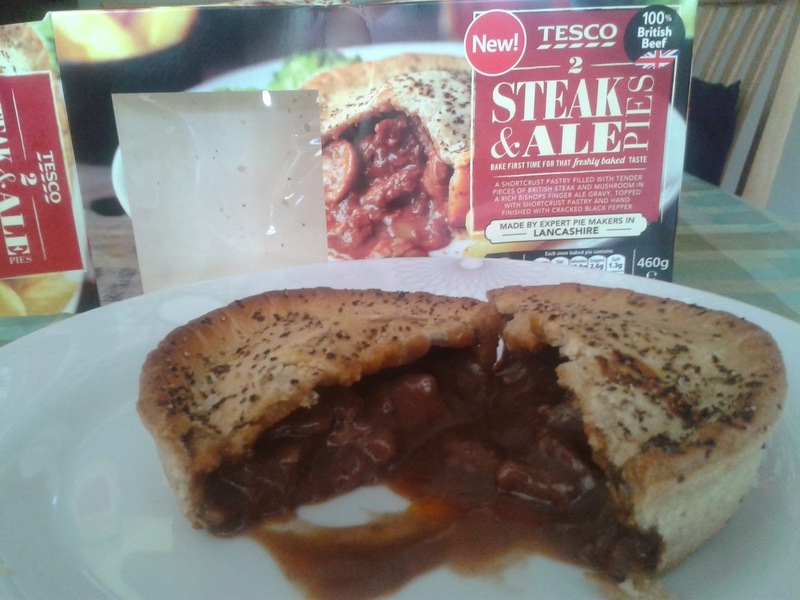 The pie eaten today to round off British Pie Week for me was the Tesco Steak and Ale Pie. The Tesco Steak and Ale Pie cost £2.50 for two and are marketed as being made by expert pie makers in Lancashire. This pie is cooked from frozen. The shortcrust pastry was quite nice and crisp, a little dry but generally quite good. It held the contents of the pie well and the rich ale gravy was nice. The pastry was a bit pale, but the cracked black pepper on the lid did add a bit of flavour but was not overpowering. The capacity of the pie was okay but could have been a lot better. The actual pieces of steak were however very nice and tender. Unfortunately some of the steak was quite chewy and one piece was very fatty and gristly, which is not what you want in your pie. There was a little bit of mushroom but not much. All in all, this was quite a small pie but was only £1.25 each. I would have liked a bigger, meatier pie but the flavours were nice. Pierateer ALE fulfilled her #PiePledge by making an Apple, Sausage and Black Pudding Gluten Free pie. This pie also helped Pierateer SJL fulfil his #pie4everymeal #PiePledge, see it being made in the video.